It is currently an 8.1 hectare working farm featuring a variety of livestock and a classroom centre, educating 160 students annually from Years 10-13 in Agricultural and Horticultural Science and AgriBusiness. In June 2015 the ASB announced development plans for the farm that include a world class teaching facility and Experience Centre. The School’s Board of Trustees agreed that management of the farm would be transferred to the MAGS Foundation to enable the farm’s development to be advanced. 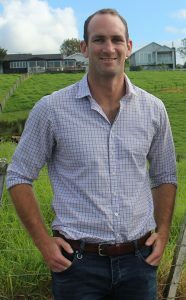 The ASB MAGS Farm Advisory Committee has been established representing the Ministry of Primary Industries and key industry partners such as KPMG and Fonterra, to assist with the development of the Experience Centre. Day to day education on the farm will continue as usual. The MAGS Foundation will work with the committee as it fundraises to build the Experience Centre and enhance the farm land. The aim is to educate more Auckland students and the wider community about the primary sector and its career opportunities, to help meet a growing demand for tertiary graduates to help steer one of the country’s largest export industries into the future. In concert with that, the farm itself will be redeveloped with improved fencing, pasture, drainage, irrigation and land management, and cleaner waterways with native plantings.